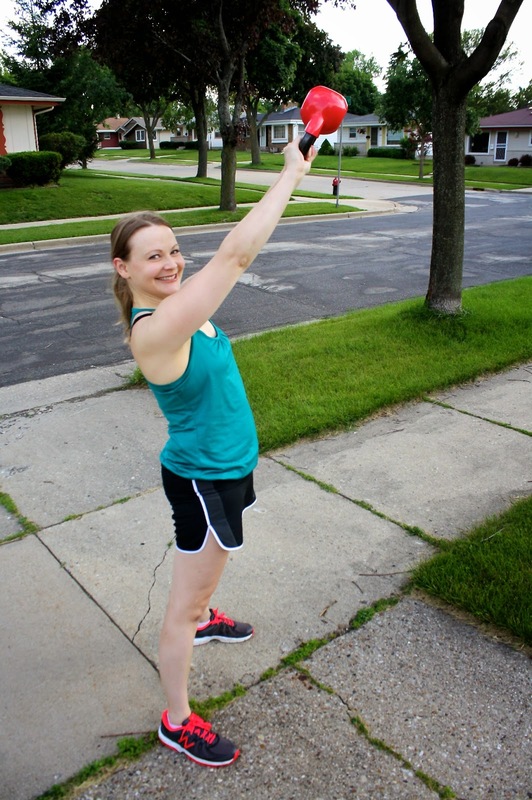 I received the opportunity to review the Every Move app thanks to my Sweat Pink ambassadorship. EveryMove is on a mission to get the millions of Americans who are investing in their health the recognition and real-life rewards they deserve! Join an infectious, can-do community of EveryMovers who use their favorite tracking devices and apps to earn points for their active days. Our patent-pending EveryMove points system translates hundreds of different physical activities into a common metric, which allows users the freedom to switch up their tracking devices and workouts and interact with friends, no matter how they choose to move. I walked 1.9 miles for 45 minutes to Walgreens and back on Monday, so I received 12 points to add towards my reward goal. My favorite way to sweat pink is to bike or play tennis. 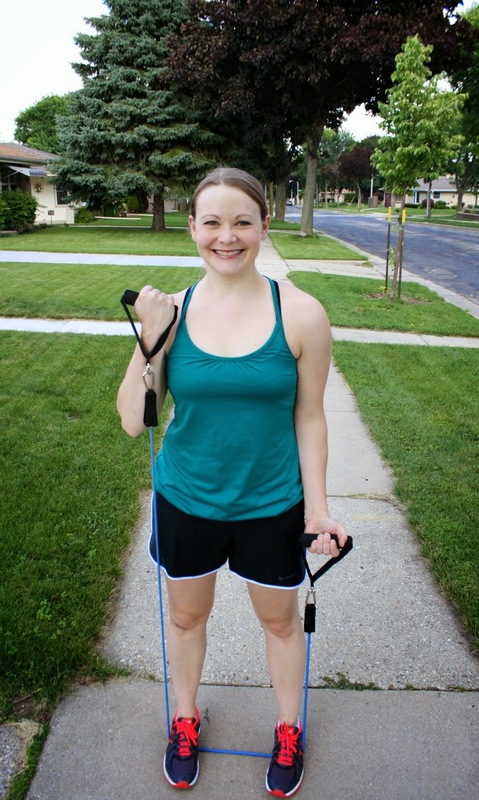 I like being active with my husband and both forms of exercise allow us to be active together. Seeing the points I earn for various activities through Every Move motivates me to get moving! In addition to seeing points in the app, I receive a weekly move report via e-mail. The app syncs with apps I already use like MyFitnessPal and MapMyRide, which is fantastic! I use so many apps that having to log into yet another one to track my exercise is a bit daunting, so it's nice that EveryMove takes care of that for me. I am currently sweating to donate money to cancer research. I would recommend that the company offer better rewards. The current ones are discounts for products and they aren't extraordinary in nature. I was hoping for some kind of gift card instead, but donating to charity feels great too. 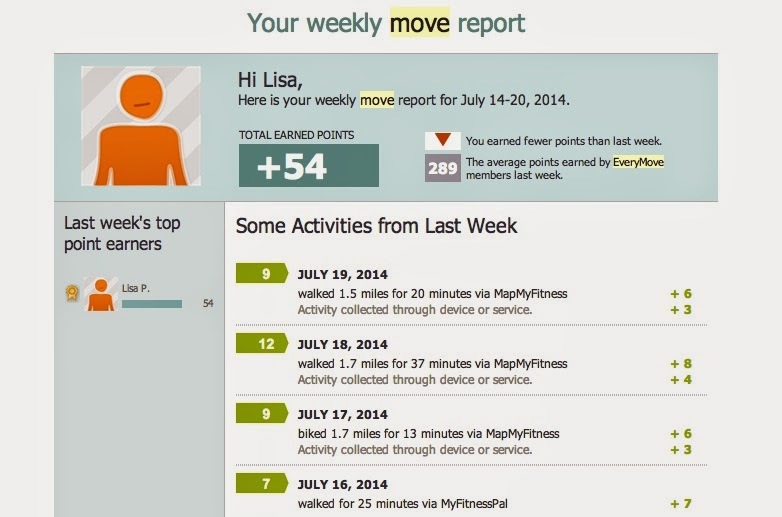 If you're looking to become more active, using a site like EveryMove will definitely motivate you. Check them out at the links below. The EveryMove app is a free download. 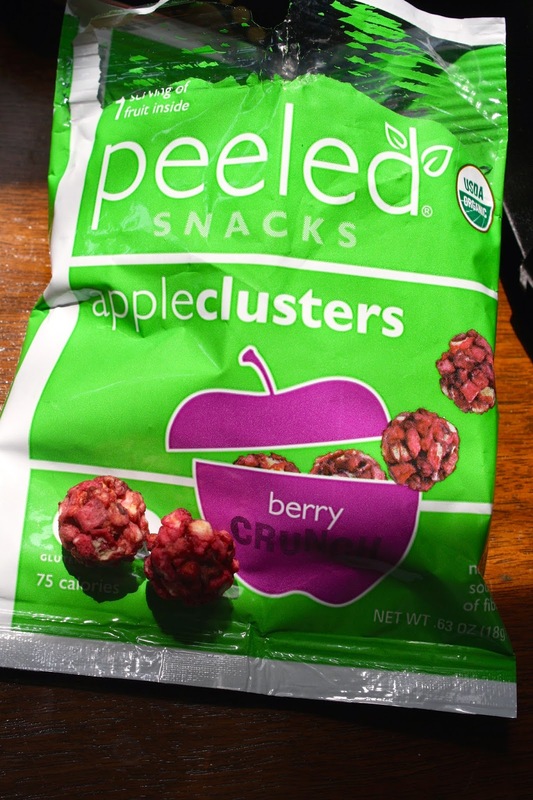 I reviewed this app in partnership with my Sweat Pink Ambassadorship. Our garden is doing really well this year! We have a much smaller container garden than in the past, but the size is manageable and provides enough veggies for a household of two. We've got six tomato plants and one pepper. Craig tried to plant carrots and lettuce from seeds, but they didn't take. I think a naughty squirrel had something to do with that, because we saw him digging in that pot one day. We're finally getting some ripe cherry tomatoes. We can't store them on the kitchen counter because the kittens think they're toys for them to play with. I've found a few on the living room carpet in the morning. 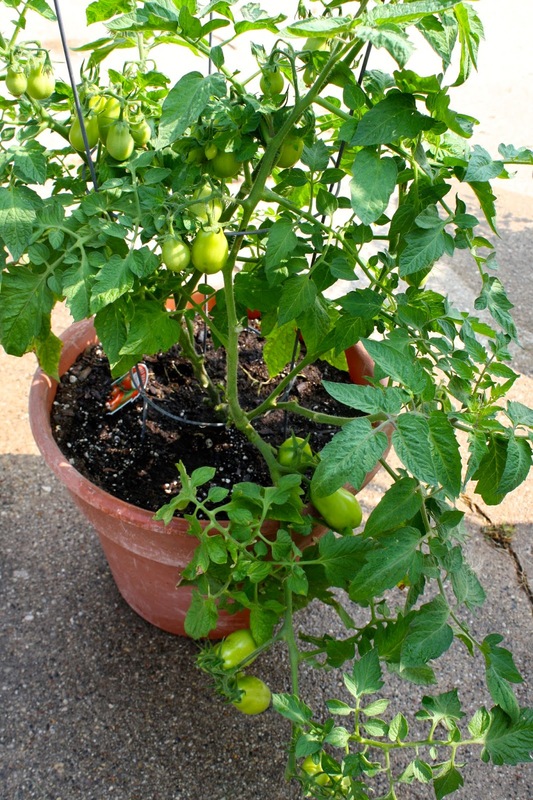 I love roma tomatoes, so I am glad they're looking good so far. Craig picked a green pepper last week. 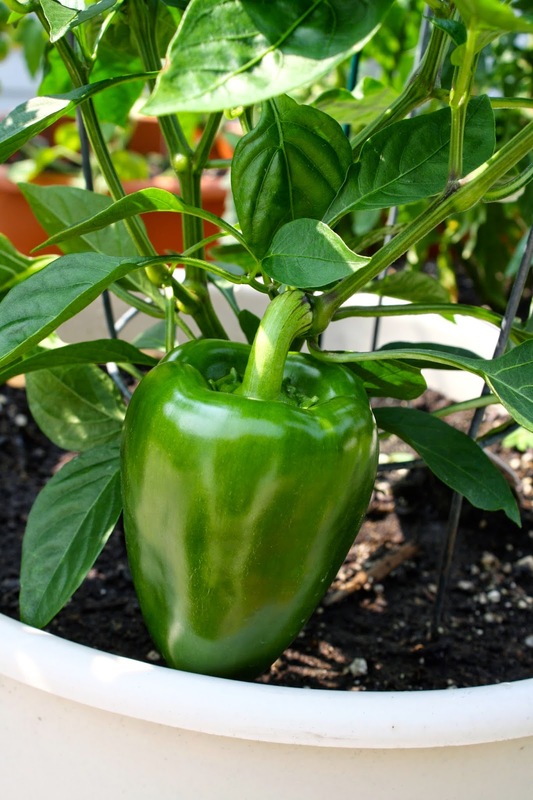 I prefer the peppers to stay on the plant and turn red, but then they weigh the plant down and take up room. I'm glad our garden is doing really well this year, despite the cooler temperatures in Southeast Wisconsin. 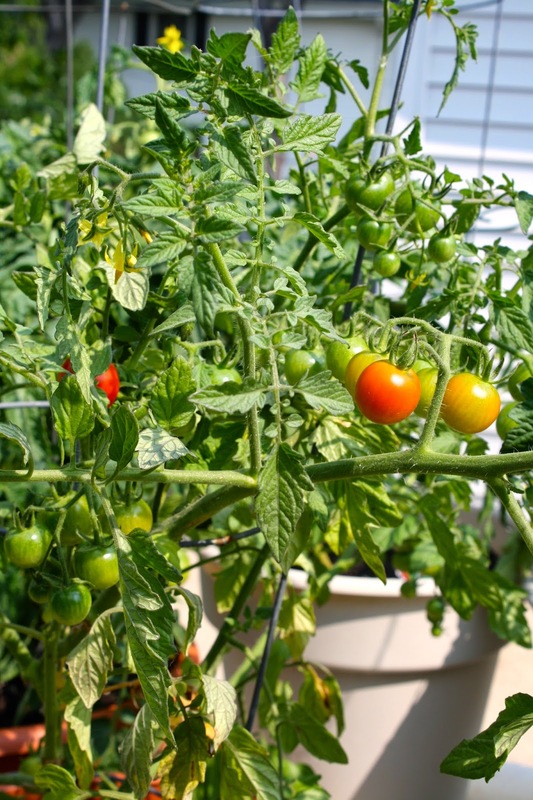 If you garden, how are your plants doing? What is your favorite thing you planted? This questionnaire was taken from the Art of Simple Podcast. Tsh asks her interviewees these questions and I thought I would share my responses on the blog! Twitter or Facebook: definitely twitter. I just like how positive most links are and I seem to learn something new every time I read my feed. 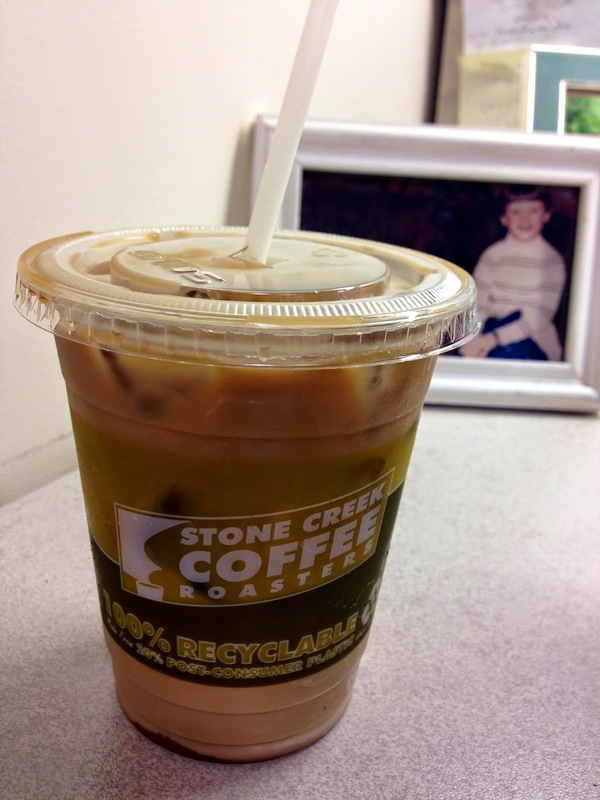 Morning person or night owl: morning person. I am so tired by 10 p.m. On the nights I have to work until midnight, my sleep cycle is totally messed up all weekend. Craig thinks I am crazy, but it's true. I am totally happier waking up early, drinking my coffee, and getting stuff done and out of the way! How do you drink coffee? I used to love half and half, but now I drink vanilla soy or coconut milk and just a little sugar. Lately though, I've been adding less and less of both and want to drink my coffee black. I may try switching to only green tea in the future or warm lemon water on a more permanent basis. It’s 9 p.m. and you have the house to yourself, what do you do? I'd probably read a book or magazine and hope that the kitties cuddle up on my lap. What’s on your nightstand right now? My happiness journal, lots of books, my alarm clock, about three hand creams. What smell do you hate? Dolce and Gabbana Light Blue perfume. Sorry if you wear this scent. I swear every woman in Switzerland and Italy wore this perfume and I was so sick of the scent of it mixed with cigarette smoke. It seriously gave me a headache nearly every time I got a whiff of it. Other than your current home, where would you most like to live? In a brand new ranch home with a bigger kitchen, master bedroom and a three car garage. That or a tiny house, but that is not very likely to happen! If you could eat only one nationality of food for the rest of your life, what would it be? Indian food. Mmm...paneer tikka masala, warm naan, mango lassis, mango ice cream. When you were 6 years old, what did you want to be when you grew up? Probably a teacher because I looked up to my sister Laurie. Ironically, I work in an education dept., but I don't "teach" anymore because it wasn't my thing. I guess I will sort of be teaching as a personal trainer because I will have to demonstrate and explain exercises to my clients. 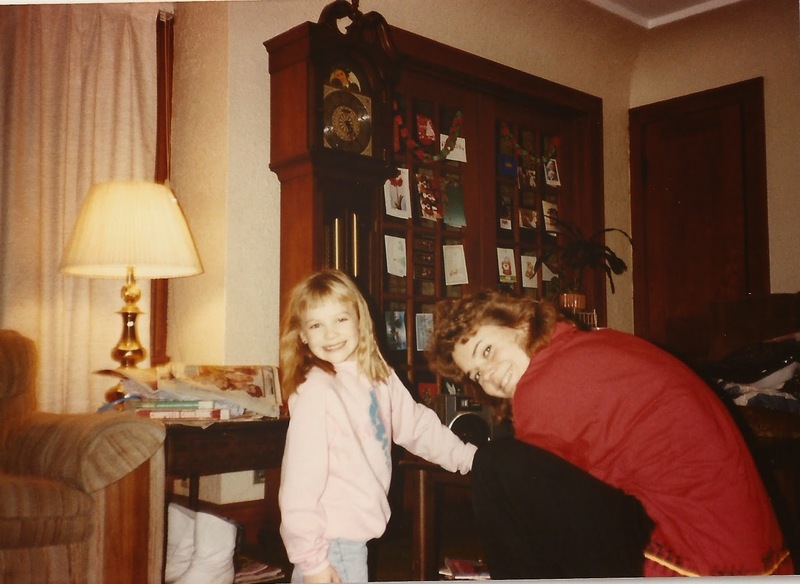 Me at around 6, with my sister Laurie (whom I am actually driving to visit in Minnesota tomorrow morning). Feel free to answer any of the questions above in the comments below so I can get to know my readers better! Does your food contain carrageenan? 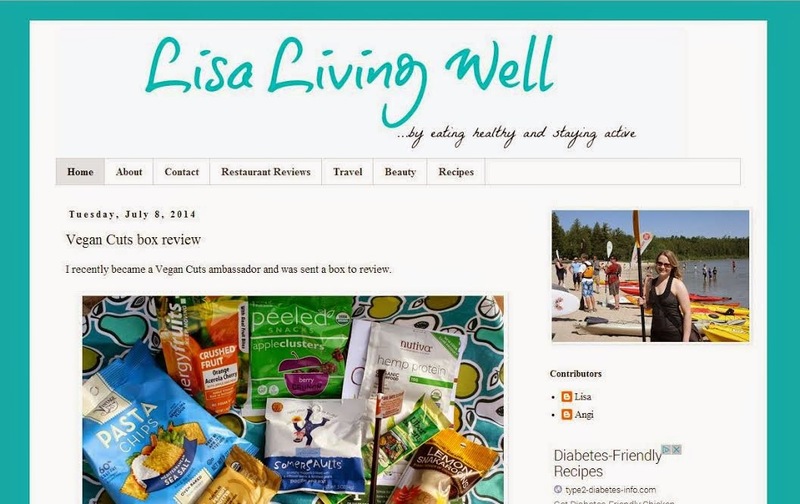 I wanted to share information and build awareness about an ingredient found in so many foods! 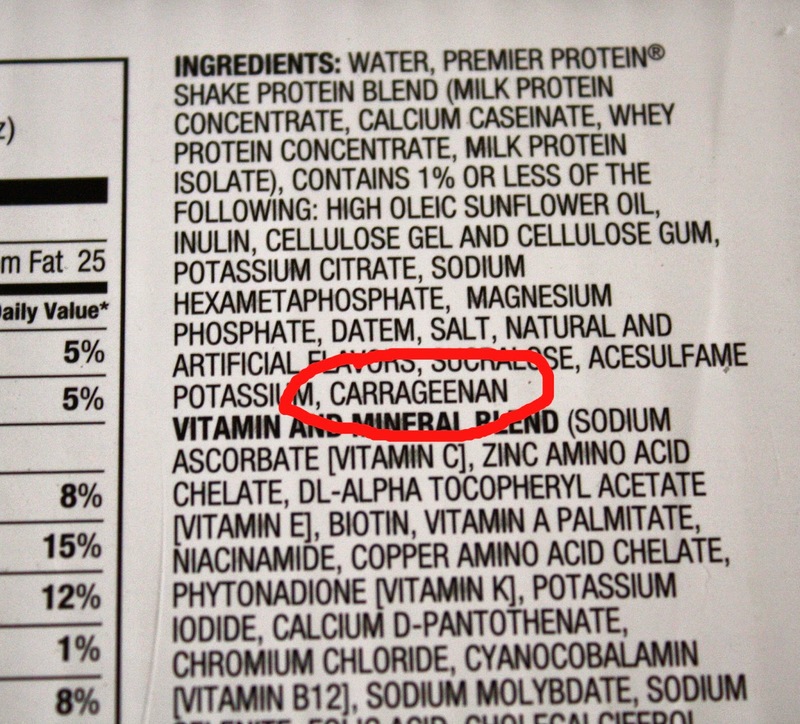 I get really frustrated and angry when I look at ingredients on products at the store and see carrageenan on the list. It's in many dairy products and I guarantee you're going to notice it in ice cream, non-dairy milks, creamers and more next time you go shopping. The first question I asked when I learned about it a year ago was, "why is it so bad for you?" It has no nutritional value and it causes gastrointestinal inflammation. I already have dealt with a lot of gastrointestinal issues in my lifetime and I don't need something else contributing to it. Naturally, the next question I asked was, "what is it?" 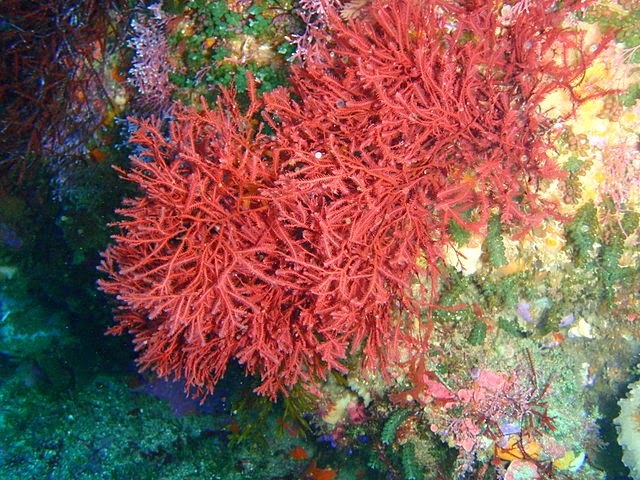 It's an ingredient extracted from red edible seaweeds. It's used because of its stabilizing, thickening, and gelling properties. I recently found it in the protein drink I like and was disappointed, as I'll never buy that brand again. Some products I use that don't have carrageenan include: Trader Joe's refrigerated Almond milk, Stonyfield Ice Cream, Lifeway Kefir, Westsoy milk, So Delicious Coconut milk (certain types don't have it) and Eden Soy milk. What ingredients do you try to avoid in foods? I naturally stay away from high fructose corn syrup and now carrageenan. New Job as a Personal Trainer! When Craig and I went out to celebrate last week and ordered margaritas at our local Mexican restaurant, it was because I had just finished a personal training practical interview. It was my third interview and I had to train my future boss! I received positive feedback right away, but had to wait for the job offer to officially come through. I accepted the offer this morning! I'll be training part-time, in addition to working my current full-time job. I'm going to be super busy for a while, but it will all be worth it to work in a very fulfilling position on the side. I plan to share some posts about my interview experience in the future, which I hope will be helpful to others. I start my new position on July 28th! Wish me luck! If you're a trainer, do you have any advice for me? I love listening to podcasts on my drive into work, at work with headphones or on my walks around our neighborhood. Here are the three I can't get enough of lately. 1. Invisible Office Hours. This is a new podcast that another blogger recommended. I've loved every episode so far, but especially the food one. 2. The Official Vitality Coach Podcast. 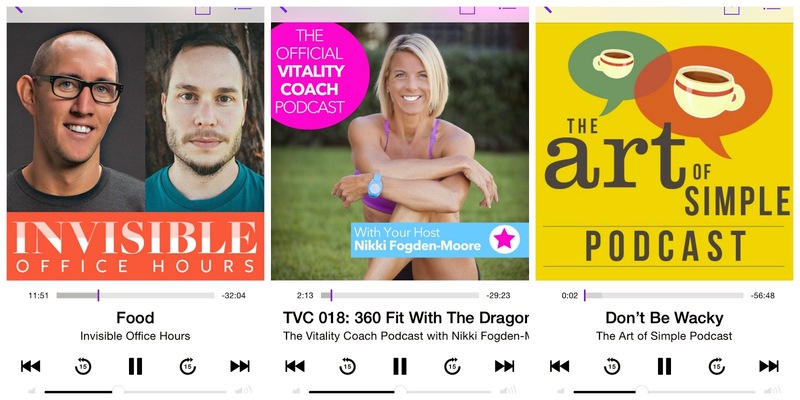 Nikki is a Personal Trainer from Australia and always has interesting topics and guests featured. I feel like if I met her in person, we'd be fast friends. 3. The Art of Simple Podcast. Karis introduced me to this one and I enjoy most of the topics the host Tsh talks about. A Fantastic Week and Weekend! Last week was a great one for me and so was this weekend! 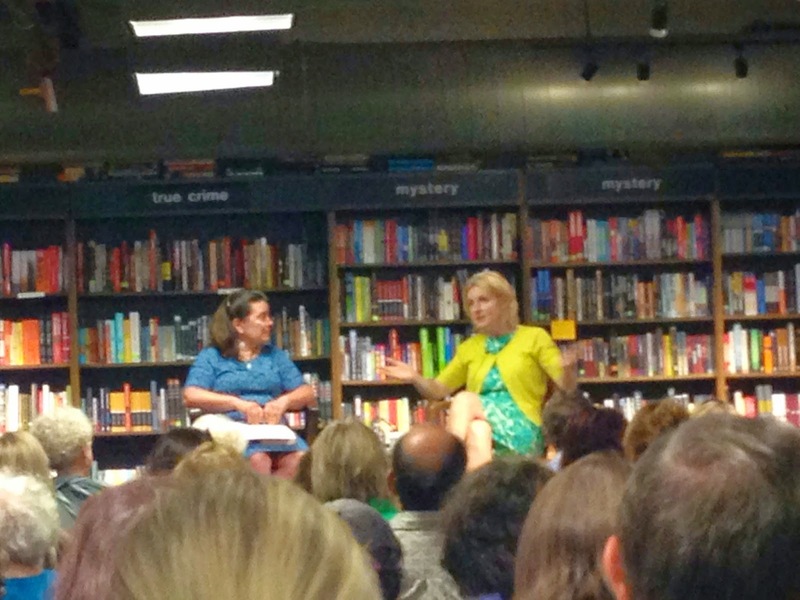 I went to see Elizabeth (Liz) Gilbert (of Eat Pray Love fame) speak at Boswell Books on Wednesday. The talk was moderated by Bonnie North of WUWM. Liz was very inspiring and eloquent. I particularly enjoyed reading about her research for the book and how she read parts of it to her husband each night and got his feedback. I'm currently reading the rest of her latest title, The Signature of All Things, and loving the story and main character. I tweeted about the event before it started and I jumped up and down when Liz favorited my tweet later that night! On Thursday evening, Craig and I walked over to our local Mexican restaurant to celebrate me being done with something. We got there right before happy hour and then ordered smaller items off the a la carte menu, which was perfect because we didn't leave there stuffed. On Saturday afternoon, I went shopping with my friend Danielle at the outlets in Kenosha. We walked for almost 6 hours, so we covered a lot of ground. Danielle always finds lots of clothes and while I am on the hunt for some new tops especially, I never seem to have any luck. I was happy to find a purse I wanted was finally on the clearance rack. I also found two nice tank tops to wear under shirts. 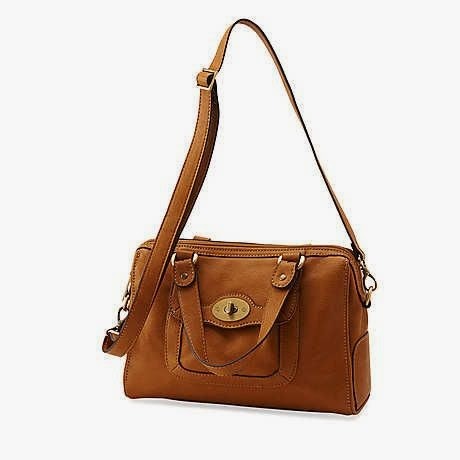 Of course, once I got home, Craig did the whole husband thing and said I had a purse just like this one. Well, not really, but you know how that type of conversation goes. I didn't do a whole lot on Sunday, but my morning was somewhat productive. I made us pancakes for breakfast and then baked a vegan chocolate chip banana bread (in my pajamas as evident from the photo below). It was my first time using ground flax instead of eggs and the bread turned out really delicious. We already ate half of it! I'm not one to sit down and watch two hours of a sporting event, except for maybe Wimbeldon, but I did suffer through the boring World Cup match. I am just thankful that Germany won and that I got to watch cute boys on the German team run around for two hours. I have a bit of a crush on the goalie, Neuer. Another positive aspect to the week was receiving this fabulous fitness equipment in the mail! I won Lindsay at Fit and Awesome's giveaway and it was such a good one! She asked me to send a few pictures of me with the equipment so I awkwardly "worked out" while Craig took pictures of me with the equipment. I love doing kettlebell swings. We don't have kettlebells at my gym, so I am thankful to have added one to my home gym collection. I'm hoping for another great week! I am what my colleagues call a "techie" and Craig works in IT, but not as a web designer. Beyond designing a boring header in PicMonkey, I had no ability to really make my blog look esthetically good, so I called upon Angi Clark to design a new page! Karis recommended her and I loved Karis's fresh new look. I love mine too! I said goodbye to this old design last week and hello to the new one that you are currently looking at. In case you are looking to hire Angi and are curious about the process, she asks you a bunch of questions about designs you like, fonts, the overall look you're going for, etc. I put together a "Blog Redesign" Pinterest page with links to various fonts, prints, and color schemes I liked and sent her that as well. Angi was really easy to work with and communicated with me back and forth quite regularly. I asked for a few changes to be made and she understood my goals and the look I was going for. I recently became a Vegan Cuts ambassador and was sent a box to review. I've tried nearly all of the products now and really enjoyed them. Nutiva--Hemp protein powder boasting all 20 amino acids. Simply add to smoothies and shakes! Subscribe: $19.95 per month, including shipping. Vegan Cuts also offers a Beauty Box, which features cruelty-free, vegan cosmetics and skincare products. 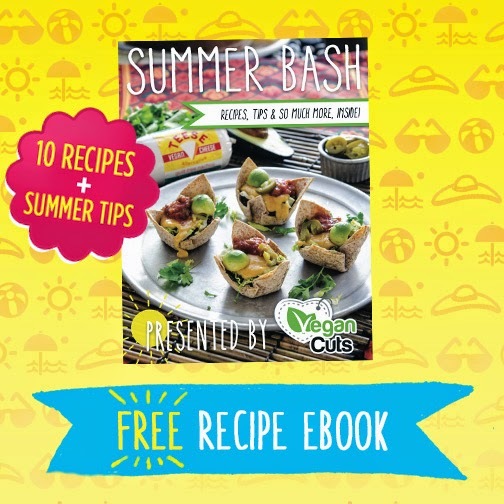 Vegan Cuts has a fantastic Summer Bash recipe book for you to download here. Disclosure: This Vegan Cuts review contains affiliate links, so if you were to make a purchase, I would get a small commission. 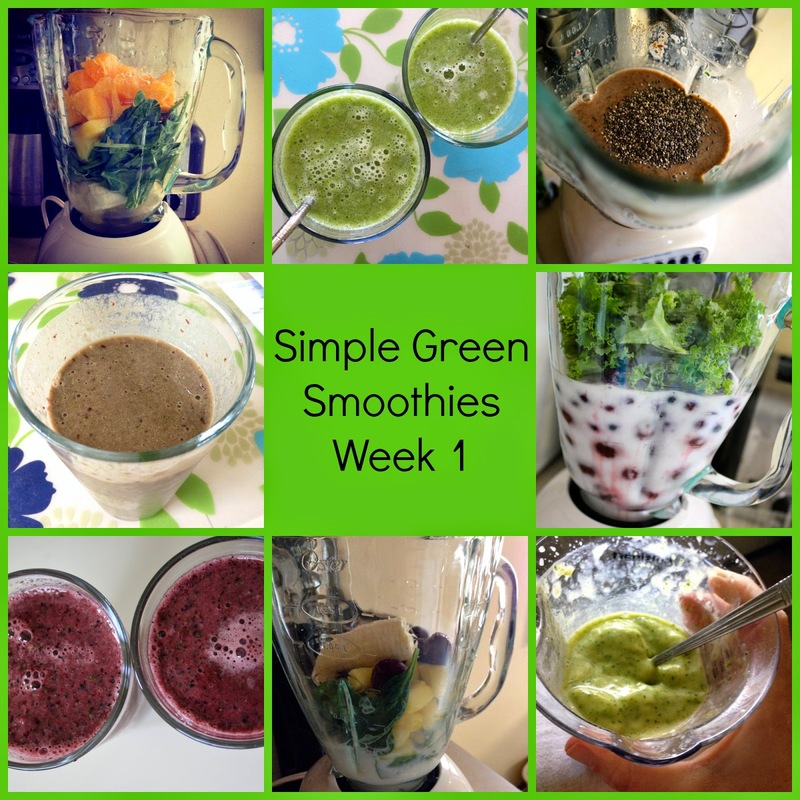 Karis introduced me to the wonderful world of the Simple Green Smoothies 30-day challenge. Here's my recap of Week 1 of trying all of the recipes! I'm not new to green smoothies and neither is Craig. I have been making smoothies for breakfast quite a bit lately and this challenge sounded like the perfect way to diversify my smoothie recipe options. Favorite so far: Citrus Breeze, shared with Craig on the 4th of July. Both of us really enjoyed this blend. Least Favorite: Coco-Cherry Berry Cooler. It was just kind of blah. How I feel: I think the smoothies are helping my digestion. I feel energized and refreshed after drinking one. I do feel a little hungry after an hour or so post-consumption. Negative aspect: washing the blender every day, because the immersion blender isn't the best for blending these types of smoothies up. Trust me, I tried and it was a mess and took twice as long! I'm excited to go shopping for the Week 2 recipes and try them out for breakfast next week! I've been having Week 1 smoothies for lunch lately, but that won't be an option with being back at work next week. 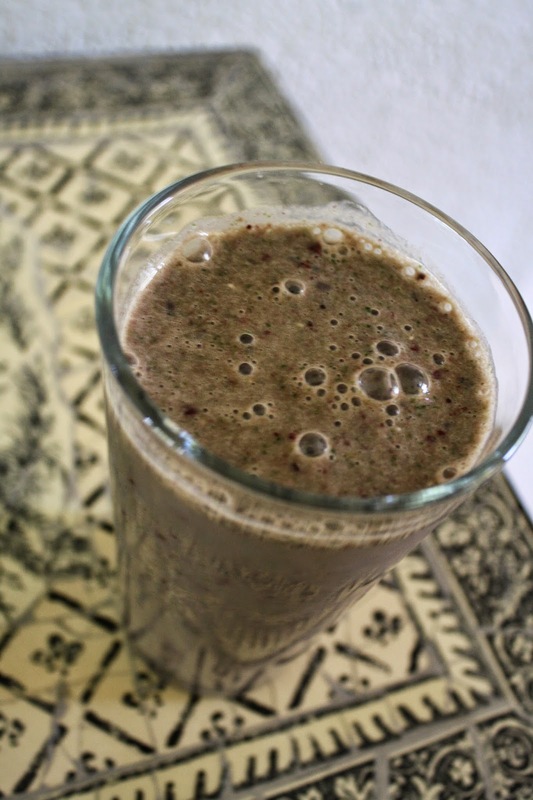 Looking for smoothie recipes or to join the challenge yourself? Click on over to the Simple Green Smoothies site and check it out! Friday is the 4th of July and America celebrates our freedom. I've been celebrating mine for the last five days and I still have five more left! I took this week off of work and it feels good to just catch up on life--blogging, laundry, reading, cleaning, errands, workouts, quality time with the cats, etc. Isn't that just the best feeling in the world? Yesterday, I ran some errands in Brookfield. I started at the AT&T store to ask about getting a new phone cord for my iPhone. Mine lasted a year until it was completely warped and wouldn't charge my phone anymore. Luckily, I worked with a really nice customer service rep and he handed me a new cord at no charge, despite the fact that I was one day over my one year warranty. That set the tone for a positive day! The TJ Maxx in Brookfield always has great products to discover, so I headed there next. I was on the hunt for cute tops, but I ended up looking in the kitchen area and found these! I tried the avocado keeper out today and it's best if you cut an avocado perfectly in half. I'm a big Frank's Red Hot sauce fan, so the Sauce to Go bottles seemed great for bringing that and salad dressings to work with me. Oh and I finally purchased an OXO good grips container to put my quinoa in! After, I went to the mall and was on a mission to find something at the Sephora store at JCPenney because I had a gift card to use for that specific location. I found the Boscia Makeup-Breakup oil that Essie Button recently recommended. I've used it a couple of times now and it's great! At Target, I found these cuppow like lids and straws for my mason jars. I use a Blender Bottle to take my smoothies to work with me, but I needed a backup if that was dirty. And the reason I needed those new lids? The Simple Green Smoothies 30-day challenge that I have Karis to thank for introducing me to. It started today and I picked up a few of the recipe items I needed at Trader Joe's yesterday. Unfortunately, I cannot find coconut milk without carrageenan in it anywhere (I know Whole Foods carries it, but there isn't one close to me)--more on that awful ingredient in a future post. 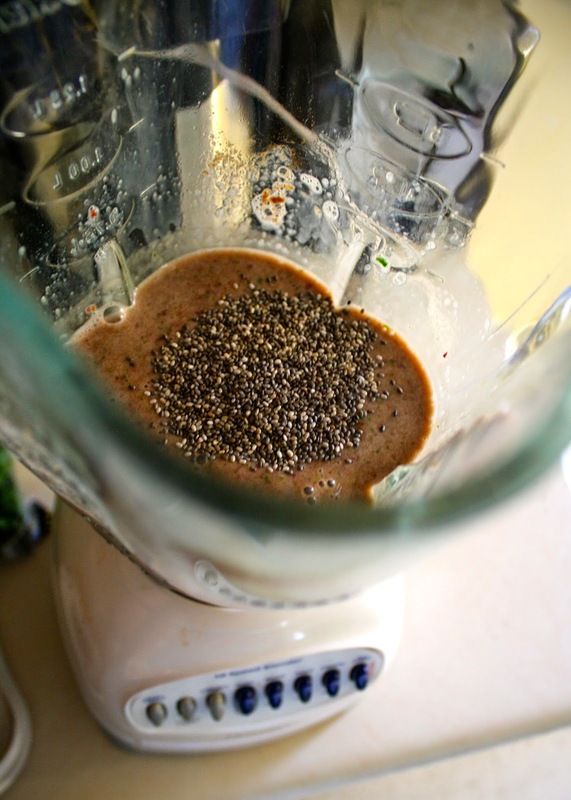 I blended up an Almond Cherry smoothie for breakfast this morning and added chia seeds, as they suggested doing, to fill me up! It looks ugly, but it was delicious! Mid-morning, I biked over to a new-to-me Little Free Library near our house. It was a good one! I feel like I am becoming quite the LFL nerd. I discovered a large print title I thought my parents might enjoy and a book that relates to my day job. The rest of the day was just plain weird. I got an unexpected phone call, which left me nervous and excited simultaneously. I went to the West Allis library and farmers' market and then stopped at a gas station on the way home, only to find myself witnessing a nasty verbal fight inside, which made me very uncomfortable and scared, so I got the heck out of there very quickly! Finally, I ended my day with the Burn Lab group exercise class, which I loved taking last week. This week's class was completely different and had the real instructor teaching, not a substitute, and I disliked it. I am not a fan of choreographed classes in which my heart rate is intensely high the entire time and that's exactly what this class was. Now I am on a mission to find out which class I took last week with the substitute, so I plan to go to one of her other classes next week and see if it's similar. Are you taking any time off around the holiday? I typically don't take a break this time of year, but I really needed one.